34 ACRES +/-. ONE-OF-A-KIND Lookout Mountain property near Fort Payne features two fantastic homes. Main residence is 3900+ sq ft and overlooks cascading waterfall. 1700 sq ft second home nearby would make great in-law residence or rental. May be purchased whole or in parts. Scottsboro Alabama, near Huntsville AL. Mountaintop tree house. Home overlooks Tennessee river, million dollar view. 3/2/2 custom home. Built 2008. All wood inside. If you like your privacy in a native forest this is your place. Six miles to Home Depot, Walmart. Best deal in these mountains! Up to 5-acre parcels with driveways and house pads starting at $30,000.00 in new development. 4500+ sq.ft. house on the 18th tee box. 4 BR 4 BA, three fireplaces and large game room. Master bedroom has fireplace. 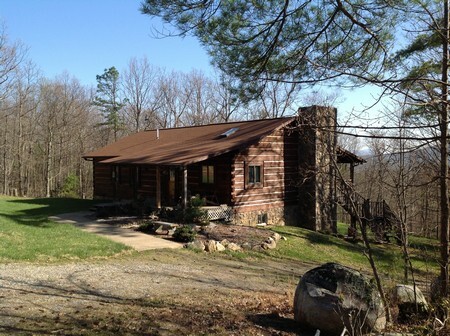 Franklin NC - Western NC, recent log cabin with 167 acres of beautiful mountain paradise near Franklin, NC, surrounded on three sides by National Forest, with two gorgeous waterfalls and 3 acre lake. SECRET FALLS COTTAGE, near Cashiers, NC - 65-foot waterfall on rushing stream, 3 acres, well-crafted 2100 SF+ 3 BR/3 BA mountain home with stone FP, long views from huge covered porch, secluded and peaceful. 86 beautiful acres with panoramic mountain and valley views with total privacy. Mountain fed creek running through property and four springs. Fenced and cross fenced. Ready for your horses and cattle! A rare find. You will not be disappointed. 15.5 Beautiful rolling Acres nestled in the Mountain foothills of North Carolina. Approx. 12 acres cleared in grass with the remainder in hard woods. Small stream runs through the property. Picturesque mountain views with beautiful lush green pastures & rolling hills. This fisherman’s delight, located in the Mountain foothills of North Carolina, beckons those who long for true peaceful living. Magnificent 5200 +/- sq ft Canadian Timber log home situated on 5.71 unrestricted acres (you could subdivide this lot)! Expansive views of this “Wilderness Lake” from many points on the property. Home comes with deeded lake access. Spectacular Mountain View Lake Apalachia Log Home on 5+ Acres for Sale by Owner. By licensed builder. 2500 sqft 3br/2 1/2 bath mountain farmhouse/cabin on 5 acres in Swain County, North Carolina. Located on dead-end paved road in unspoiled, upscale area between Bryson City (9 miles) and Franklin, NC (16 miles). Services being installed now. Will finish to suit. 9.39 acres of a slice of heaven. Beautiful views up Tuckeseege River and Weyehutta Creek. Over 1000' of creek frontage on Weyehutta Creek (nice trout stream). There are many building sites on this level to rolling pasture land. About 1 mile upstream from Western Carolina University. Very easy access. An amazingly beautiful and private 73 areas of land nestled in the high mountains of Western North Carolina near Dillsboro and Sylva, 50 minutes from Asheville. USFS property borders 3 sides. 10-acre pasture, many great home sites, long-range views, This spectacular property is ready for you to build a special mountain home. North Carolina Mountain View Acreage for Sale. Jackson County NC. Only 20 minutes from downtown Asheville. Long-term privacy on 1.71 acres are surrounded by 500 acres in a 50 year land trust adjacent to the Pisgah National Forest. Custom, log home, 3 bedrooms, 2.5 baths, stone fireplace, wood interior, wrap-around porch, 3,000 sq ft plumbed basement with 12 ft ceilings and a 2-car garage with oversized RV doors. Exterior is virtually maintenance free. 2 Level Brick Ranch on large landscaped lot in a quiet middle income country development in the small town of Sparta, NC. Lower level has complete 1 Bedroom apartment. Upper level 1600 sq ft 4 bedrooms 3 bath. Central heat/air. 5 min from grocery/hospital/school, within walking distance of local Wellness Center with indoor pool, weight room, etc. Blue Ridge Mountain Home for Sale by Owner in Sparta NC. Income Investment - Two Unit Apartment in quiet country development. 1300 sq ft. Upper Level – 3 Bedrooms 2 ½ bath, Lower Level – 3 Bedrooms 2 Bath. Rental income aprox. $1200 monthly. Electric baseboard heating, hardwood floors. 3 Beautiful 2+ Acre Mountain View Building lots on Gateway Mountain. A gated community between Black Mountain and Lake Lure, near Asheville. 2+ Acre Black Mountain View Building Lots For Sale by Owner. mountain retreat. Lots range in size from ½ acre to 1.19 acres. 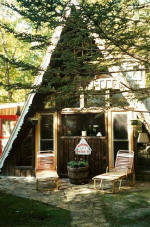 A-Frame Mountain Vacation Cabin for sale by owner. Enjoy the cool summers at over 4300Ft. Designed to accommodate large families and social gatherings. PRISTINE LAKE NANTAHALA This 3 Bedroom 2 Bath lakefront home with tram & dock - Lot 1, Nantahala Shores, Gated community bounded by National Forest. High Elevation Lake Nantahala and Mountain View Lakefront Home for Sale by Owner near Andrews, Franklin NC. Apalachia Lake: 2.78 acres with Deeded Lake Access. Phenomenal Mountain and Lake Views. Secluded. 3/3 septic permit. Road already into property. For Sale By Owner - North Carolina Mountain Lake Home Site Lot with Deeded Lake Apalachia Access. Bed & Breakfast in Sparta NC For Sale by Owner. Completely remodeled and restored 2 story farmhouse ready to go as a Bed and Breakfast in the tourist mountain town and future sight of the National Teapot Museum in Sparta, NC. The long range views can be enjoyed on the upper level dining deck. There is plenty of room for guests in this 5 bedroom, 4 bath spacious home. Not far from the New and Little Rivers. This is a must see. Blue Ridge Mountain View Bed & Breakfast in Sparta NC. 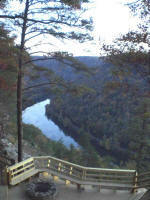 Near Blue Ridge Parkway, Stone Mountain State Park, New and Little Rivers. Near Black Mountain, Lake Lure and Asheville North Carolina. 8.7 acres. Easy access, small creeks, great building site and close to Asheville. Beautiful mountain creeks and several nice easy to build sites. 8.7 Acres with Mountain Views, Creeks and Spring. Can be divided. Close to Black Mountain, Lake Lure and Asheville NC. 2 bedroom Log Cabin/Home set amidst 28 picturesque acres. Small pond, 2 branches, barn and large garden spot. Also on property is 100 year old home that could be fixed up for company. Several nice building spots with views. Near Black Mountain, North Carolina. 9 acres with a little of everything. Flat areas, a view from the building site on the knoll, and a small creek that starts at a spring on the property. 9 Acres with Mountain Views, Small Creek and Spring. Close to Black Mountain and Lake Lure NC. 2 acres of heaven in Buncombe County NC. Absolutely beautiful mountain location between Black Mountain and Lake Lure. Close to all the great activities in Asheville North Carolina. 2 Acre Mountain View Building Lot, Home Site for Sale. Between Black Mountain and Lake Lure, near Asheville NC. Fabulous Lot in Prestigious Tynecastle - Banner Elk NC! This gorgeous 2.92 acre home lot is located in the prestigious gated Tynecastle community of Banner Elk, NC. The property faces Grandfather Mountain and is only minutes from shopping, skiing and walking trails. TIMBERWOOD MOUNTAIN ESTATES A 320 acre, gated subdivision in Cherokee County, North Carolina. Close to the Tri-County Community College, the Murphy Medical Center and the J.C. Campbell Folk School. Timberwood Springs - A 160 acre gated subdivision with an equestrian touch. Located in western Cherokee County, NC in the Shoal Creek Valley off of Shoal Creek Road. Sierra Springs is a private 72 acre, gated subdivision between Murphy and Hayesville, close to Murphy Medical Center, JC Campbell Folk School and the Tri-County Community College. Located in the heart of the Great Smoky Mountains on Fontana lake with lake front, lake view and scenic mountain view property for sale by owner. Suches, Fannin County GA - Crystal Bend creek front property, 14.3 acres between Dahlonega and Blue Ridge. One of a kind acreage along 1600 ft of the Cooper Creek trout stream . The property is very private with both water and mountain views from the primary house site. Lake Burton one-acre view site with lake access. Beautiful, wooded building site on hilltop. Property line centers creek with rock waterfalls; access to lake & dock is 500’ from tract. Enjoy privacy on a woodsy 1.44-acre lot on Talking Rock Creek, in the center of gated Cedar Cliffs Mountain Resort, near Ellijay, Georgia. Build the cabin of your dreams! Waterfall lot with rhododendrons & mountain laurel in park-like setting on fast white water stream near Chattahoochee & Cohutta Wilderness, 3-plus acres, Double Eagle Preserve, Lot 8. Charming home in gated community on the river in Ellijay, GA.
3 bedrooms, 2.5 baths, large kitchen with separate dining room, Master on Main. Bonus room over the garage. Large deck on the river with enclosed cabana. Very lovely, level lot on a cul-de-sac. River Front Home for Sale, Ellijay, Gilmer County GA.
North Georgia Mountains - Blue Ridge - Deer Crest subdivision. This beautiful log sided 3BR and 3 ½ BA home is sitting on 2+ acres. Come enjoy year round views from all three levels. Large Log Sided Mountain View Home on 2 Wooded Acres. Wrap around decks, gas fireplace, Jacuzzi bath. Stunning, immaculate 3 bedroom 3 bath home on 6.72 acres atop ridge overlooking the Sequatchie Valley with views and privacy, yet only one-half mile from shopping and services in Dunlap, TN. THIRTY ACRE TENNESSEE MOUNTAIN RANCH ESTATE W/ MAGNIFICENT BLUFF VIEWS. Sitting atop the majestic Walden's Ridge Mountains at the bluff's edge with a cool 2300 ft. elevations is a beautiful ranch whose 30 acres are part of the original Trail of Tears. 3,000 sq. ft., 3 bedroom, 3 bath split level home. Dream of owning a Log Home in an Exquisite Blue Ridge Mountain Community? Then this home will make your dreams come true. It’s located in the mountains of East Tennessee. Nestled between the majestic mountains of the Cumberland Plateau and Walden's Ridge in historic Pikeville, TN, is Pennina's Whatever Antiques and Art, Antique Store, right on the Sequatchie River, which meanders all the way through the Sequatchie Valley. There is approx. 1/3 of an acre and the boundary is right to the middle of the River. 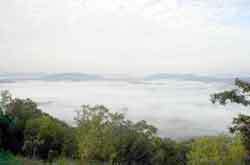 52 (+/-) secluded mountain acres, several building sites with scenic views. Located in Washington County Virginia, near historical Abingdon and various scenic, entertainment, educational and sporting interests. Commercial Building 2000 sq ft Showroom and offices, 2000 sq ft Warehouse, both in excellent condition. Located in manufacturing zoned area on large lot with room for expansion. Virginia mountain retreat on 60+ acres bordering Shenandoah National Park. 3,000 ft2 4 bedroom 2 1/2 bath home, breathtaking mountain views, 4 car garage , 900 ft2 guest cottage, outbuildings. VA Mountain top home on approx. 85 acres, Adjacent to Mount Rodgers, elevation 4500 feet in the Appalachian Mountains not far from the Blue Ridge Parkway. Own your own mountain top complete with Fantastic 360 degree panoramic views. Private drive, fenced property, a perfect release from the day to day stress. Escaping to Mother Nature with all the conveniences of home. One of a kind mountain home on the rim of and overlooking the New River Gorge and National River in the heart of white water rafting country, near Fayetteville WV. This is truly a unique property, featuring 4 bedrooms, 3 bathrooms, finished walk out basement, 2 stone fireplaces, hardwood floors, granite kitchen countertops, Stainless steel appliances, plus an over size two car garage. Also has a completely self contained studio designed to be utilized as a bed and breakfast, vacation rental, or mother-in law quarters. Interested? Call or E-mail the individual owners. For Sale by Owner North Georgia real estate. For Sale by Owner real estate directory of North Georgia homes, log homes, cabins, land, golf course lots, golfcourse lots, golf course homes, lots, acreage, acerage, acres, acers, creek front, waterfall, lakefront, lake view, golf, vacation, retirement and investment properties. For sale by owner properties in Jasper, Ball Ground, Ellijay, Blue Ridge, Blairsville, Suches, Young Harris, Hiawassee. Real estate listings in Fannin County, Union County, Pickens County, Towns County. For sale by owner homes and lots on Lake Blue Ridge, Lake Nottley, Lake Chatuge. North Carolina Cherokee County, Graham County and Towns County. Make us your realtor for Marble, Andrews, Murphy, Hayesville, Robbinsvile, Nantahala Lake Chatuge and Fontana Lake. Home for sale Hatch, Utah UT.